1. The game’s main menu theme, “Adventure”, composed by Zain Effendi — a short, sweet, mellow piece that goes beautifully with the game’s steampunk setting. 2. 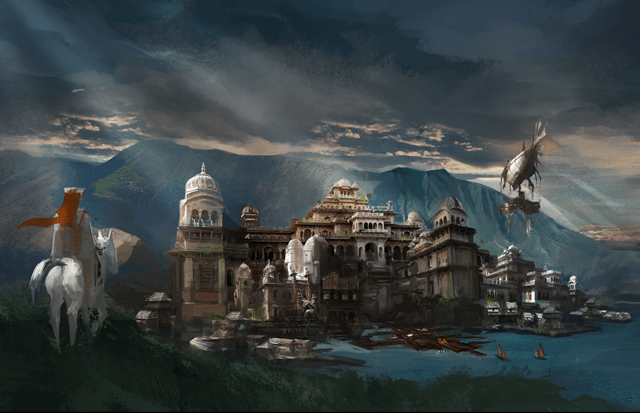 An more stirring in-game piece, “Crimson Sky”, composed by Gimmen Gong. Enjoy, and stay tuned for my upcoming email interview with Muse! Each class has its own part to play. Here, I’m about to buff our main gun. 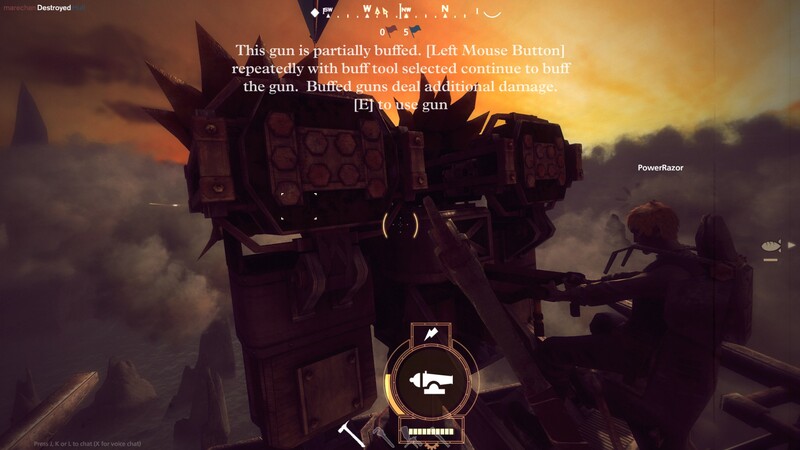 That is one of the stories I have accumulated in my last couple of weeks playing Guns of Icarus Online, a team-based airship combat title from indie studio Muse Games. (You might remember my very brief mention of the game last year, when it was just a trailer and a cool concept.) In Icarus, players take on the roles of airship crew – gunners, engineers, or pilots, with four crew members to one airship. (Note that the game is strictly PVP; while most unoccupied crew slots are filled by bots, each airship must be skippered by a human player.) Matches involve two teams (2-4 airships per side, depending on the map) either trying to score a set number of kills, or hold objective locations long enough to win. Each ship’s captain can choose between six available ship types, each of which can be further customised via choice of weapons – for instance, do I mount a flak cannon (long-ranged and best against the enemy hull), a carronade firing grapeshot (close-ranged balloon-popper), or a Manticore rocket launcher (long-ranged disabler) in my main gun slot? And depending on their class, crew members can choose which repair/buff items, ammo types, and piloting boosts to take into battle. Once in the game, the slow, deliberate combat feels closer to MechWarrior than to the typical FPS – ships take a while to reach their destination, and guns don’t fire that quickly. This changes once the ship takes damage – then it becomes a frantic game of ohnotheengineisred, and Someone fix the hull before we all die! Sometimes, sequels and remakes are exactly what the doctor ordered. In recent weeks, two upcoming air combat-themed indie games have caught my attention: AirMech and Guns of Icarus Online. Never played Herzog Zwei or Brutal Legend, another game it inspired? AirMech is an action/RTS hybrid where you fly about in your plane, purchase units and then transport them to the front, and drop down into robot mode to engage enemies on the ground. But watch out for surface-to-air missiles! Up to four humans or AIs can play at a time, and victory goes to the player whose army can destroy the others’ starting strongholds. Critics were unimpressed with the original Guns of Icarus (which I never played), but the developers have acknowledged that “our ambition outstripped our schedule” for the original game; for the sequel, Muse is apparently better resourced and has benefited from its experience developing other games. While there will be PVP, I’m more interested in the “exploration” promised for the cooperative mode. 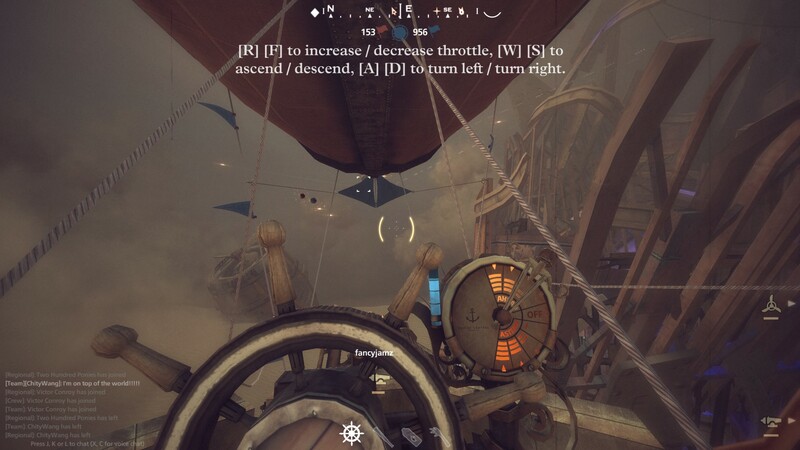 At this stage there isn’t enough information to judge whether the developers can execute on this vision, but if they can, this could just turn out to be the steampunk airship Pirates! that I’ve been calling for. Worth keeping an eye on.